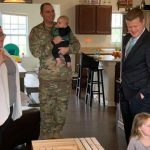 APRIL 10, 2019 – Site visits to military housing by defense officials to hear firsthand accounts of problems there are just one step being taken to ensure military families have safe places to live. 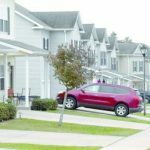 Robert H. McMahon, the assistant secretary of defense for sustainment, told lawmakers on April 4 that the military services are aware of problems in privatized housing and have embarked on a series of house calls to let families know they’re going to fix issues they find. “Since the beginning of the year, the military departments have conducted an intense campaign, consisting of site visits, reviews of privatized housing conditions, meetings with families and communities, and senior-level discussions with privatization partners to address property management issues,” McMahon said in testimony during a hearing of the House Armed Services Committee’s readiness subcommittee. McMahon said that the Defense Department had an open-door policy when it comes to reporting housing issues. He said all resident complaints are taken seriously and acted upon by the housing privatization project entity and staff, and that when he’s fielded such a complaint, he’s then followed up with other service-level officials to help fix problems. 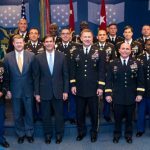 Included among those officials were Thomas Modly, undersecretary of the Navy; John W. Henderson, assistant secretary of the Air Force for installations, environment and energy; and Alex A. Beehler, assistant secretary of the Army for installations, energy and environment. All three testified alongside McMahon at the hearing. 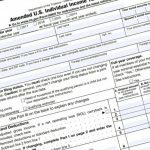 Modly told lawmakers the Navy is reaching out to “every single person in the Navy and Marine Corps who lives in privatized housing.” So far, he said, they’ve identified about 4,700 issues with family housing for sailors, and that about 2,800 of those families have asked leaders to visit their homes personally. 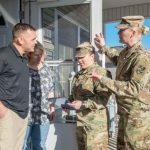 “We’re well on the way of ticking away on that,” Modly said, noting that about 900 visits have been made to Navy personnel and 7,000 personal visits have been made to family housing. Henderson said nearly 50,000 Air Force families have been contacted and interviewed regarding their concerns with family housing. Accordingly, he said, some 4,700 work orders have been opened up to address issues that were found. “They are now surging on [those work orders] and we’re battle tracking here with the Air Force,” Henderson said. 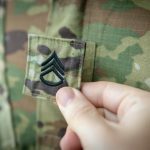 The Army has also stepped up efforts to correct any problems in privatized family housing. Following the hearing, Beehler said leaders across the Army have been visiting soldier homes to assess problems that might be found there. In 1996, legislation established the Military Housing Privatization Initiative, or MHPI. 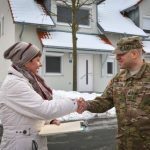 As part of this initiative, the military departments conveyed 99 percent, or more than 200,000 units of installation family housing in the United States to private entities. 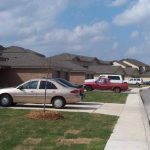 The MHPI leverages private investment and expertise to significantly improve the quality of on-base housing faster than traditional military construction and facilitates long-term investment necessary to maintain high quality on-base housing.